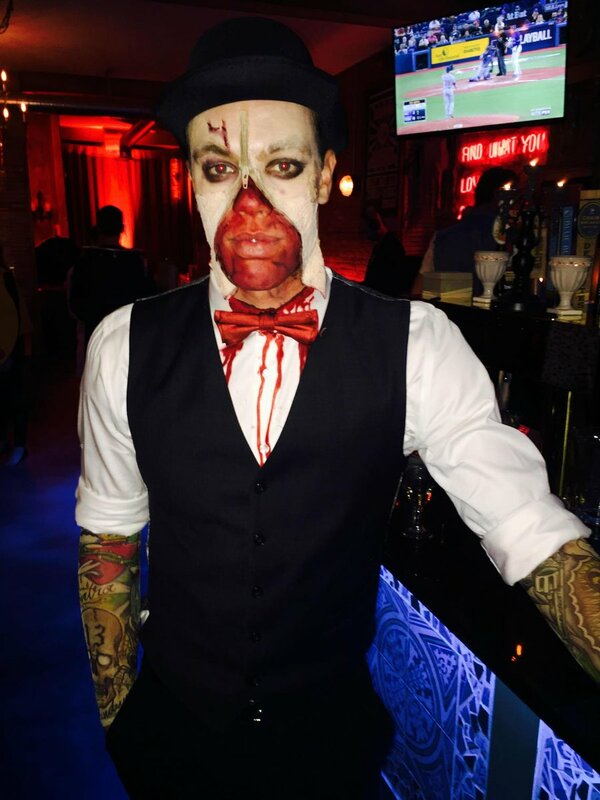 Over the years, Halloween costume parties have become highly anticipated events for NHL teams. 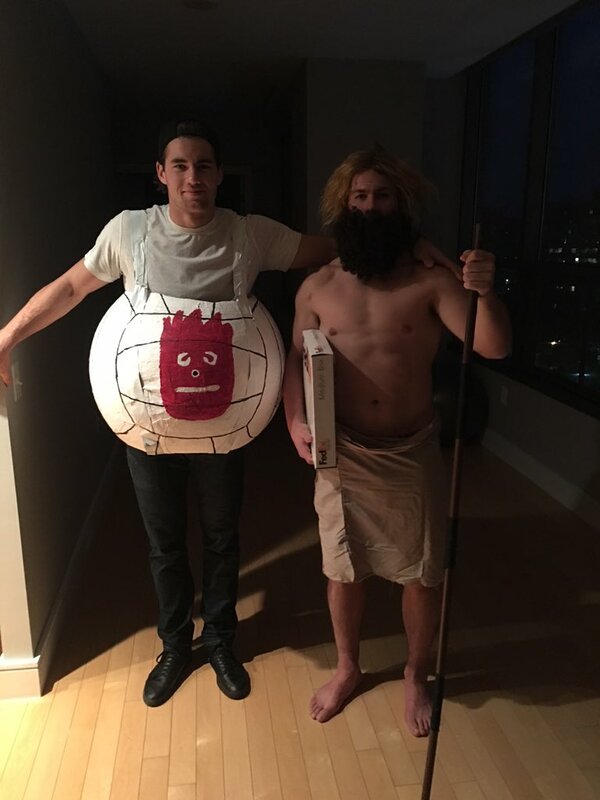 Slowly but surely, year after year, players and their wives have become more coordinated and committed to having the best costume. Here are the good, the bad, and the ugly of NHL Halloween costumes of years past. Current Nashville Predator, P.K. Subban went HAM with his professional face paint and exceptional red leather costume. As one of the best personalities in the NHL, we expected nothing less from this beaut. Desharnais looks like he could have been a stunt double in the Dark Knight with this getup. If Lauren Oshie told us to dress up like a dog and get down on all fours, we’d happily oblige. Simple and spot on. The moustache really ties everything together. A+ for creativity. Hey Jordie, do you even squat bro? Holy tree trunks. Ok Carey…we get it. You were going for a little play on words with your last name. Congrats on all the creativity. Nerd. RIP to these former Capitals roomies. They had one solid bromance. A for effort, but D overall for disturbing. 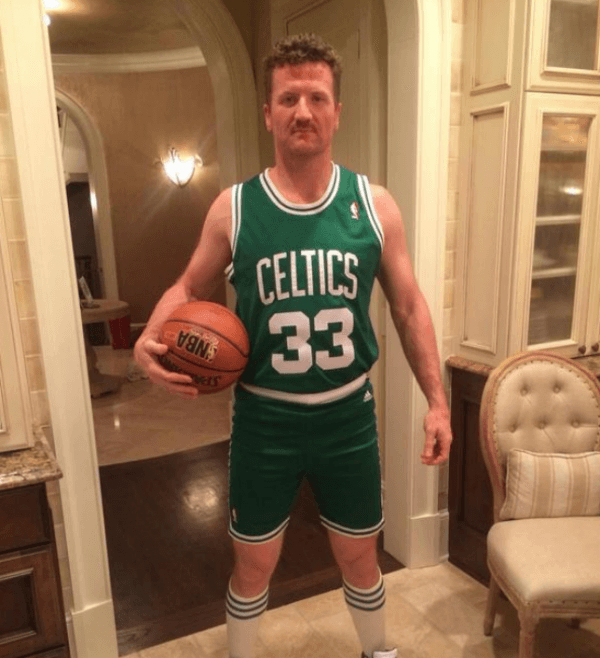 This is the costume of a free agent, not a first overall pick. Come on Taylor – you’re better than that. Alex Ovechkin, who signed a 13 year / $124,000,000 deal, rockin’ a $10 knock-off Batman costume. This baby wielding taco is St. Louis Blues forward Paul Stastny. We’re no experts, but that baby’s head might need a little more support, Paul. Considering the level of execution of this costume, we can only assume this came from his personal closet and not a store. 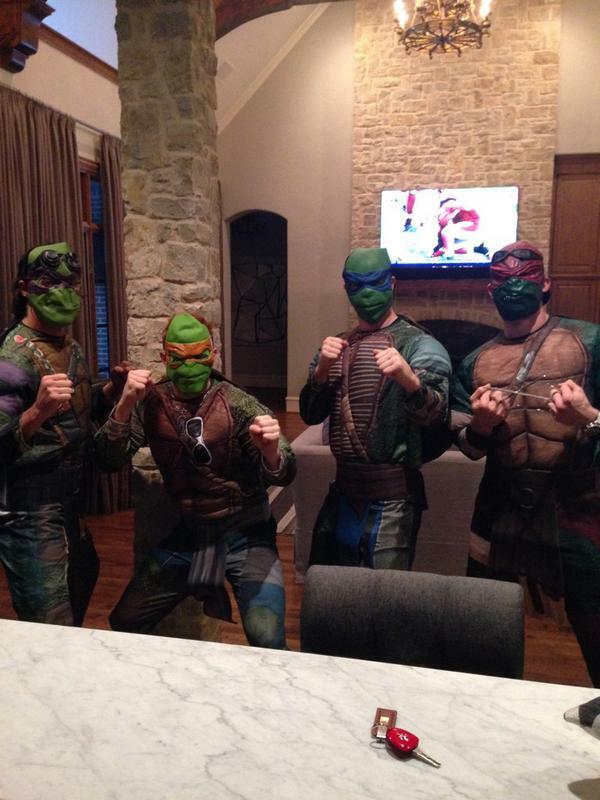 We imagine this is how four bachelor rookies dress when they remember the team’s Halloween party starts in 30 minutes. Not many guys could get away with dressing as the evil sea witch Ursula. Then again, most guys don’t date Melinda Currey to bring dressed as Ariel. Touche Mr. Karlsson. Touche. These three blind mice probably ran after the farmer’s wife and his daughter and his daughter’s friend and…you get the point. Look out for these three savages. A unicorn that plays hockey? That man’s name is Jack Eichel. By the way, we’re giving away one of his autographed jerseys valued at over $500 (magical powers not included). Create and complete a player profile (picture and gear included) to be entered to win. 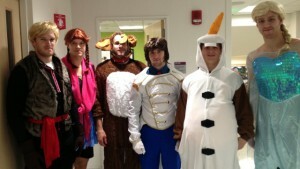 Further proving hockey players are the best, a group of Boston Bruins took to Children’s Hospital dressed as Frozen characters to visit sick kids. True beauties.